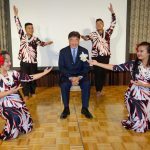 The Guam Visitors Bureau (GVB) has announced that after nearly 24 years of service, Japan Manager Yuji Mitsumori will retire from GVB tomorrow, September 30, 2016. Mitsumori contributed to Guam’s welcoming of over 1 million Japanese visitors in 1996, 1997 and 2000, and created an over 20-year partnership between the people of Guam, the Japanese Government, U.S. Government and Japanese Travel Agents. 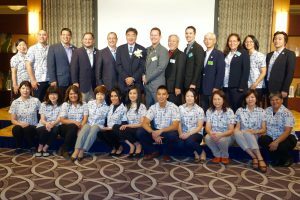 “The Guam Visitors Bureau commends Mr. Mitsumori for his valuable contributions to Guam’s visitor industry and recognizes his commitment to develop, showcase and help make Guam the best place to live, work and visit,” said GVB Board Chairman Mark Baldyga. The Bureau hosted a farewell reception earlier this week to honor Mitsumori where he was presented with a resolution by the GVB Board of Directors, an honorary resident’s award from all 19 mayors of the Mayors Council of Guam and the prestigious Governor’s award. The Bureau will announce Mitsumori’s successor in the coming weeks.